What has happened to England's top centre-backs? When looking at England’s latest squad selected by Gareth Southgate, it's easy to get excited with the wealth of attacking options available to the manager. 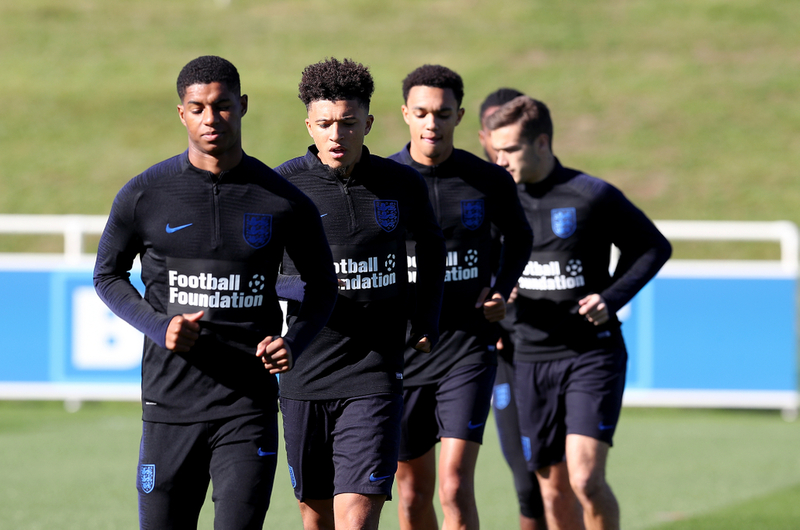 Spearheaded by captain and World Cup Golden Boot winner Harry Kane, there is plenty of flexibility for Southgate to work with, having the option to go with either a back three or back four and still have a genuine attacking threat. Both Raheem Sterling and Marcus Rashford will expect to be in any starting XI picked by Southgate following their excellent form for Manchester City and Manchester United respectively. Both were also impressive in England’s win away at Spain at the end of last year, making a front three with Kane that was devastating on the counter-attack. Off the bench, there are two highly-touted youngsters in Jadon Sancho and Callum Hudson-Odoi, with the latter receiving his first senior call-up before making his full Premier League debut. As for Sancho, he has been excellent for Borussia Dortmund in the Bundesliga this season, scoring eight goals and providing 12 assists in his 26 appearances, 19 of which have been starts. That’s without mentioning Bournemouth’s Callum Wilson, who has managed 10 goals for Eddie Howe’s side in the Premier League this season despite some recent niggling injury problems. Dele Alli and Jordan Henderson are two regular midfield options, while Declan Rice and James Ward-Prowse have been called into the side by Southgate. Yet when it gets to the defensive options, Southgate doesn’t have quite so many quality options to choose from. It's telling that he’s named six full-backs in this squad and just three centre-backs. At right-back, Southgate has chosen Kyle Walker, Trent Alexander-Arnold and Kieran Trippier, while the opposite side options are Luke Shaw, Ben Chilwell and Danny Rose. 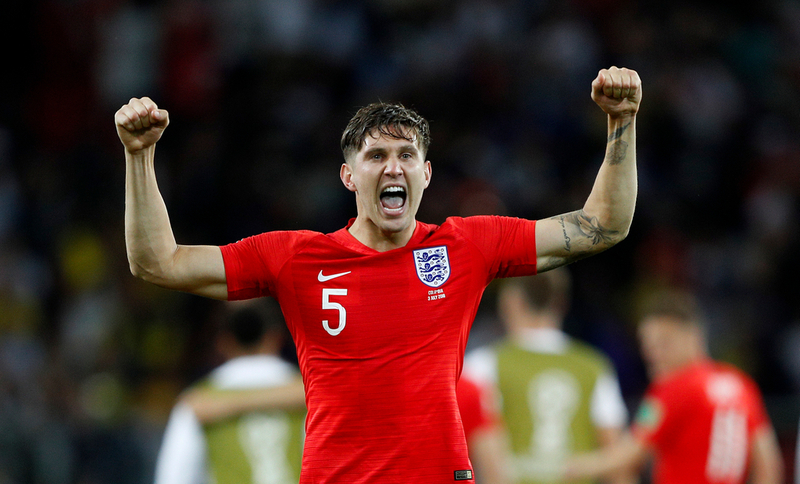 At centre-back, England have been left short of options due to injuries to John Stones and Joe Gomez, which could well have been the partnership Southgate went with in the upcoming games with Czech Republic and Montenegro. Harry Maguire will have had something to say about that, with the Leicester man being the most experienced centre-back in the current squad. Competing to start alongside him are Everton’s Michael Keane and Burnley’s James Tarkowski, with it fair to say that both players have been part of teams that have performed below expectations this season. The pair have seven caps between them, with Southgate electing to go with them two over the likes of Chris Smalling and Conor Coady. Smalling hasn’t played for England since 2017 in the 2-2 draw with Scotland at Hampden Park, while Southgate has thus far gone against rewarding Wolves captain Coady for his good form at Molineux in the Premier League. What defensive shape England go with on Friday remains to be seen, with the lack of centre-back options potentially seeing them return to a back three, putting right-back Walker back in as part of the back three. They could also stick with the back four which worked so effectively in the wins over Spain and Croatia in the Nations League, if he has faith in one of his two inexperienced centre-backs to partner Maguire. There is also the option of using West Ham’s Rice at centre-back, the position in which he played throughout much of his youth career, though it is as a defensive midfielder that he has really flourished with the Hammers. England’s ‘Golden Generation’ never fulfilled their potential or lived up to the talent they ultimately possessed, with their defensive options at the time highlighting just how strong they were. John Terry and Rio Ferdinand were often the main pair, but it's fair to say their reserves weren’t bad either. If Sven Goran Eriksson was without one or both of them, he could call upon the likes of Sol Campbell, Jamie Carragher, Ledley King, Jonathan Woodgate, Matthew Upson and even current boss Southgate as cover. Now, the options aren’t anywhere near the same level of player and it is one area of the England squad where there doesn’t seem to be the same level of prospects coming through the ranks either. The future is certainly bright for England, but at this moment in time and for the foreseeable future they look just a few injuries away from being extremely short of cover at the back.